Miguna Miguna reckons that the ‘despotic duo’ of President Uhuru Kenyatta and Deputy President William Ruto had him deported on Tuesday due to his immense influence on NASA supporters. Speaking to CBS News after arriving in Toronto, the self-proclaimed NRM general blamed his woes on the Jubilee Government taking offense with his commissioning Raila Odinga’s ‘illegal oath’ on January 30 in front of tens of thousands of opposition supporters. He also intimated that the Head of State had in the past revealed that he (Miguna) had made it impossible for him to watch television. Before the deportation, the international lawyer made appearances on various TV stations most specially on NTV’s AM Live. His contributions, he told CBS News, made the ‘illegitimate’ President uncomfortable. He also mentioned that his utterances against Interior CS Fred Matiang’i at Okoa Kenya offices on January 31 could also have led to his unlawful arrest. 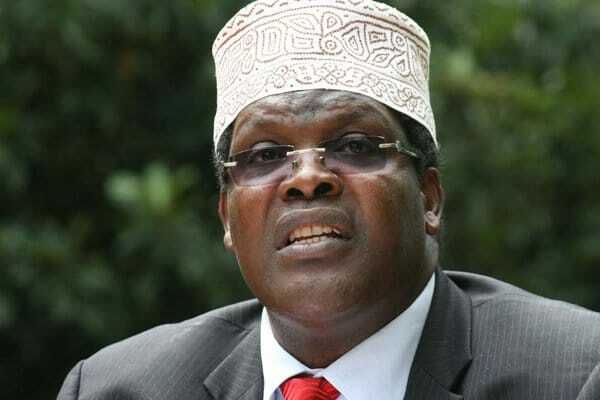 “Jubilee government is the most corrupt since independence, and Canada can not do business as usual with a rogue regime that does not obey court orders,” Miguna advised. “Viva, continue the struggle, the struggle against the despots. Against the illegitimate usurpers of power. We must win. There is no going back. Surrender is not an option and we do not have a reverse gear. Viva!” he said.